Get everything you want from your retransfer card printer. 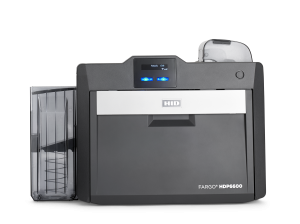 Built on six generations of proven retransfer technology over the last 20 years, the new HID� FARGO� HDP6600 from HID Global� combines innovative, never-seen-before features and patent-pending iON� technology with unprecedented print speeds � making it the most advanced, efficient and fastest desktop-based retransfer printer available on the market today. Only the HDP6600 produces high definition cards, up to 230 cards per hour, and features HID Global�s innovative iON technology for image transfer and lamination � an industry first. Patentpending iON or �instant on� technology rapidly heats the transfer roller and optional laminator allowing the unit to reach optimal operating temperature in just seconds, expediting the entire retransfer printing and lamination processes. Other lamination products can take up to five minutes to initially heat up. With the HDP6600, the unit is ready to produce high-quality cards and IDs in under 60 seconds � virtually eliminating that all-too-familiar long wait for the first card. For laminated cards, this can mean your first card is ready up to 80% faster than with other products and can save you up to 20 hours in wait-time per year on average. 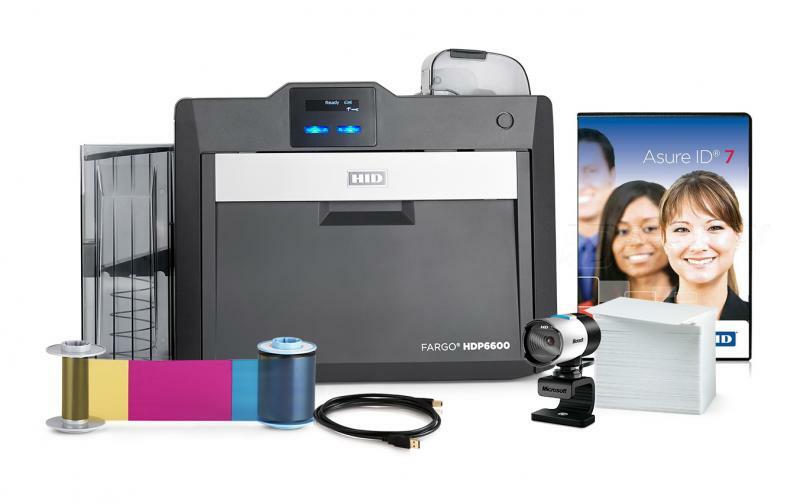 Designed to meet the high volume needs of medium-to-large corporations, universities, healthcare facilities, government agencies and service bureaus, the HDP6600 includes support for high-yield, full-color ribbon and laminate consumables � keeping costs at a minimum while maximizing productivity. For greater system capacity, an optional 200-card input hopper is available. Sharper, crisper images and text with 600 dpi. Colors are vibrant. Images and text are crisp. Quality is second to none. 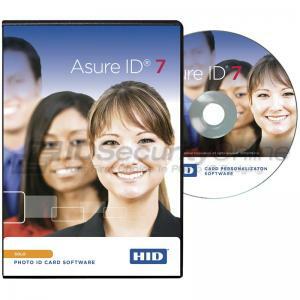 ID cards printed on the HID FARGO HDP6600 card printer/encoder do more than protect your organization � they reflect the value you place on your brand. The HDP6600 produces ID cards with the highest image and text quality available, making it a smart choice for any organization whose brand image is paramount. Not only are colors more brilliant and images sharper, but the high quality, 600 dpi resin printing capabilities of the HDP6600 give you the ability to precisely print small text, complex characters and crisply defined barcodes like never before. 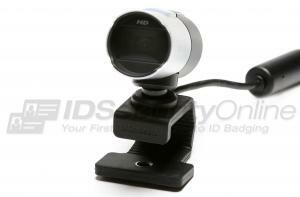 The HID FARGO HDP6600 is also right for organizations that demand more functionality from their ID cards. Encoding options allow configuration of the HDP6600 to produce highly secure contact and contactless smart cards that address your specific needs. The HDP6600 can also print up to the very edge of smart chip contacts and virtually over the edge of each card resulting in professional and polished credentials. The optional card flattener ensures a smooth and level finished card every time. Wasteless lamination for highly durable cards at a fraction of the cost. The HDP6600 utilizes HID Global�s innovative wasteless lamination technology, eliminating the need for the standard carrier film and take-up core included in most lamination consumables on the market today. As the only desktop-based retransfer on the market to offer advanced wasteless lamination technology, the HDP6600 can substantially reduce high-volume laminate materials costs by as much as 40%. Beyond consumables cost savings, wasteless PolyGuard� LMX overlaminates extend the life of your cards by providing the highest level of card coverage protection available. Additional ribbon options coming soon. Please contact your HID Global Sales Representative or local HID Integrator for more information. Overlaminate Options: COMING SOON - Overlaminate options will be made available with the upcoming release of the HDP6600 lamination module. Please contact your HID Global Sales Representative or local HID Integrator for additional information. Accepted Card Types: ABS, PVC, PET, PETG, proximity, smart and mag stripe cards, optical memory cards, polycarbonate. Encoding Options: Supported smart card and magnetic stripe technologies: 125kHz (HID Prox) reader; 13.56 MHz (iCLASS� Standard/SE/ SR/Seos, MIFARE Classic�, MIFARE Plus�, MIFARE DESFire� EV1, ISO 14443 A/B, ISO 15693) read/write encoder; contact smart card encoder reads from and writes to all ISO7816 1/2/3/4 memory and microprocessor smart cards (T=0, T=1) as well as synchronous cards; ISO magnetic stripe encoding, dual high- and low-coercivity, tracks 1, 2 and 3. FARGO Secure Materials: FARGO Card Printer/Encoders require highly specialized media to function properly. To maximize printed card quality and durability, printhead life and printer/encoder reliability, use only HID Secure Materials. HID warranties are void, where not prohibited by law, when non-HID Secure Materials are used. The Fargo HDP6600 Single Sided ID Card System features a 3-year warranty on printer and lifetime warranty on printhead.